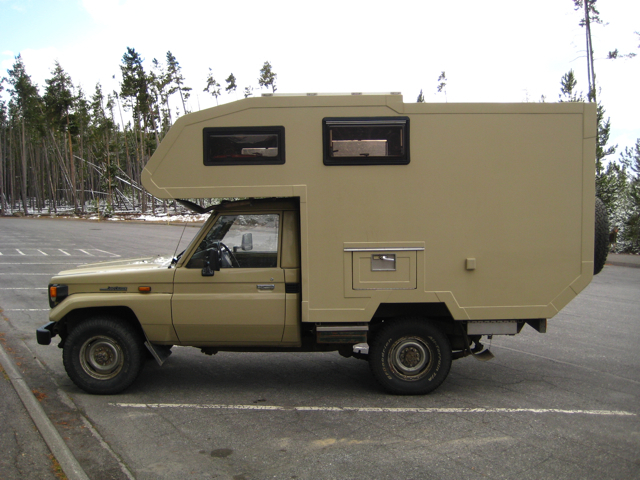 Toyota 4×4 truck with a chassis mount class c camper. 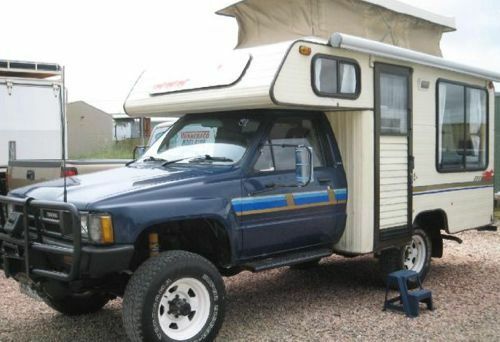 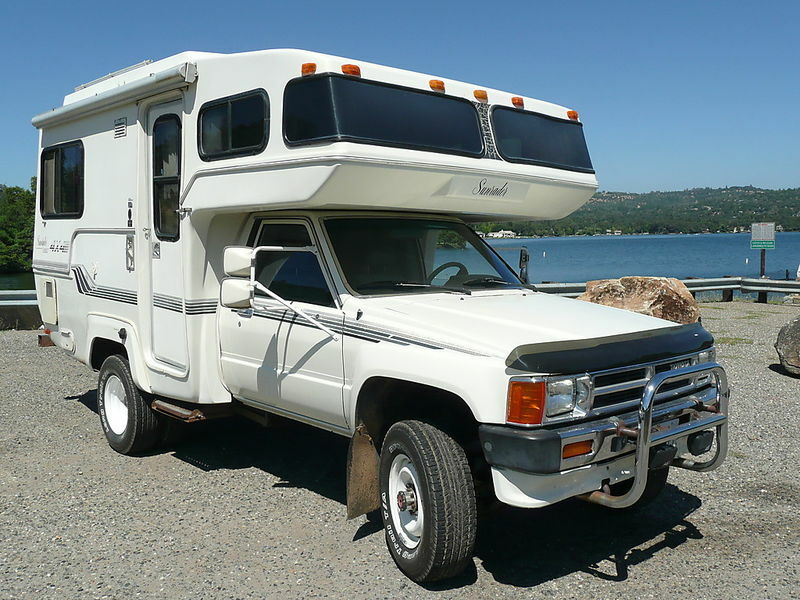 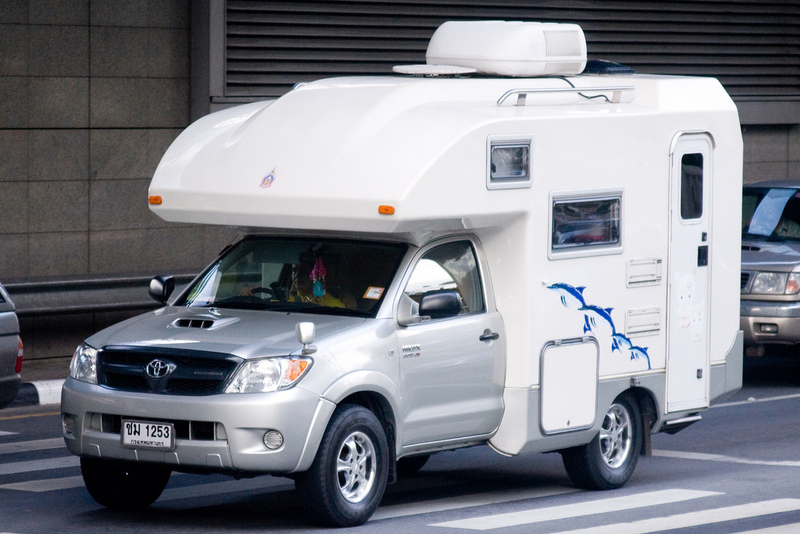 Here is a Toyota 4×4 truck with a chassis mount class c camper. 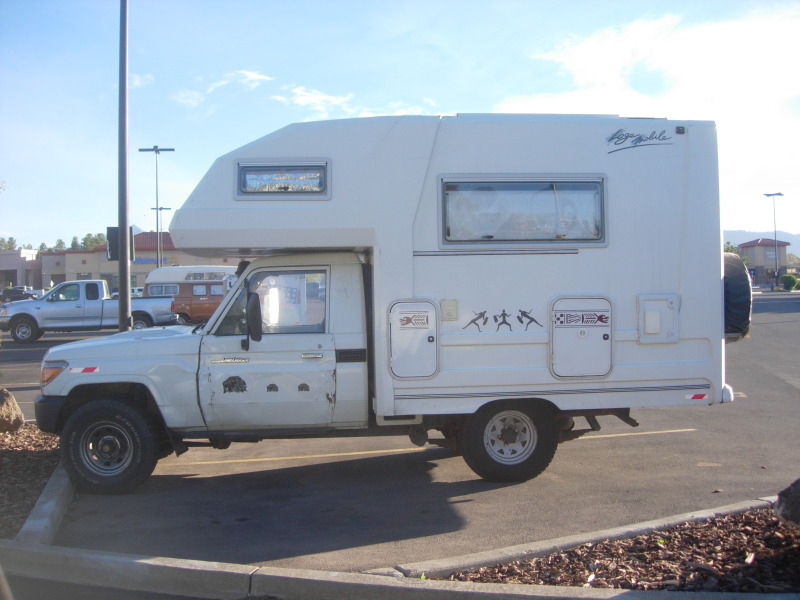 This vehicle is well equipped for outdoor travel adventures.